BRANDON, MB – Brandon University (BU) is pleased to announce that a Harvard educated financier, senior public sector manager and national expert on health systems has been appointed as Chancellor. 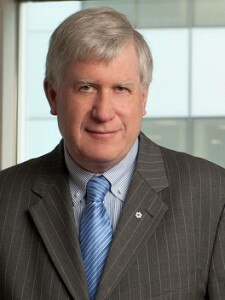 Michael Decter is President and CEO of the investment company LDIC Inc., author of eight books and popular lecturer with the National Speakers Bureau. A former Deputy Minister of Health for Ontario and Cabinet Secretary in the Government of Manitoba, Decter was the founding Chair of the Health Council of Canada and continues to serve with numerous non-profit health care organizations. The BU Senate ratified Decter’s appointment this week. He will be officially installed May 31st during Convocation, taking over from Henry Champ who passed away in September 2012 during his second term as Chancellor.